Fast-food rivals McDonald’s and Burger King are rolling out new offerings in the ongoing battle for customers. McDonald's confirmed to CNBC Thursday it will be testing out new seasonings for its fries in select locations, while Burger King said it is adding burgers to its breakfast menu. McDonald's patrons in Stockton, California, and St. Louis can order Garlic Parmesan, Zesty Ranch and Spicy Buffalo fries. The new fries require some assembly and come with step-by-step instructions for customers to sprinkle their fries with seasonings. McDonald's spokeswoman Lisa McComb confirmed the tests, which Foodbeast.com first reported. 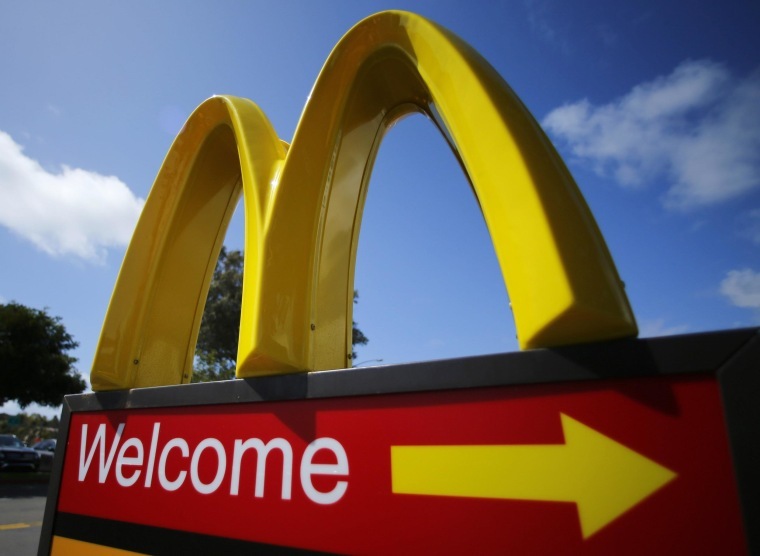 McComb said the fast-food giant got the idea from its seasoned fries in Asia, which first debuted in Hong Kong nearly a decade ago and have since launched in China, India and Australia. No word yet on whether McDonald's will expand the test. "As with all tests, we aren't in a position to draw conclusions or make assumptions about the test since it is just beginning but we hope customers in these two markets enjoy the new flavors," McComb said. The move comes as McDonald's battles to turn around its U.S. same-store sales, which have dropped 1.3 percent so far this year. Also Thursday, Miami-based Burger King said its new "Burgers at Breakfast" menu will include its Whoppers, Cheeseburgers and Big King sandwiches, as well as its Original Chicken Sandwich, fries and apple pie. The items are offered alongside the chain's normal breakfast menu. Burger King Worldwide Inc. said in an email that more than 5,000 locations will participate in the program. The company, which operates about 12,000 restaurants worldwide, said it began rolling out earlier this month but did not say whether it would be available permanently or for a limited time. The rollout was reported earlier Thursday by the website BurgerBusiness.com.